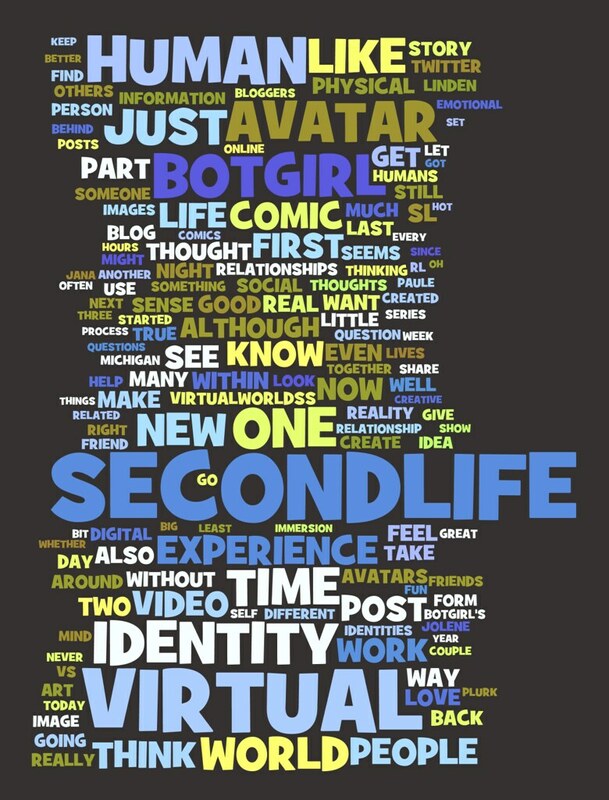 I've displayed Word Clouds here before, depicting changes in the blog's direction over time and differences between avatar and human identities. Yesterday, I dumped the complete contents of all 400 posts into Wordle and created this beautiful (if I do say so myself) image. The only edits I made to the source file were to delete auto-generated words such as the month and date, and to combine "Second Life" into "SecondLife." If you have a blog, electronic diary or other text-based record of your thoughts, try pasting the content into Wordle for a visualization of what words (and their associated ideas) have been predominant in your work.